New Delhi, February 24: The Committee of Administrators (CoA), which governs the Board of Control for Cricket in India (BCCI), on Sunday, said the sporting community should isolate Pakistan for supporting terror and make it the "apartheid of international cricket," just like South Africa was boycotted in world games due to its policy of apartheid. 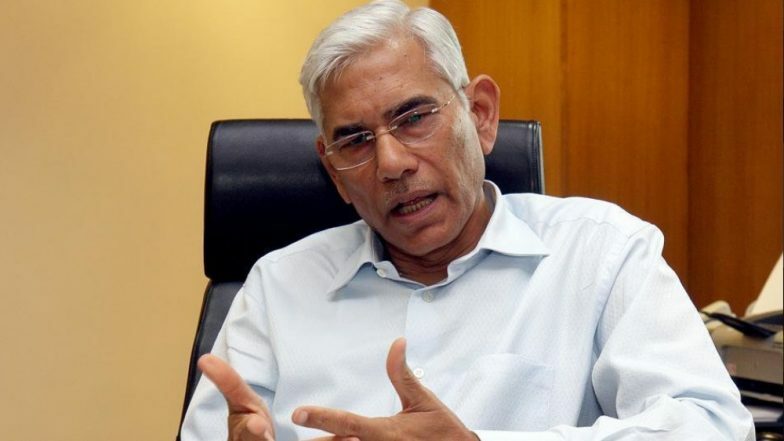 “Want to make Pakistan the apartheid of international cricket and will seek all member nations’ support to make sure it happens and this matter will officially be tabled in the ICC chief executives meet too,” COA chairman Vinod Rai told ANI. In the mid-50s, South Africa faced an international boycott in the wake of the country’s racial segregation policies. BCCI Writes Letter to ICC About Severing Ties With Pakistan In the Wake of Pulwama Terror Attacks (Read Letter). The International Olympic Council kept South Africa out of the 1964 Summer Olympics. The snowball effect was felt in cricket too, triggering the exclusion of the country from international cricket events in the 1970s. With the demolition of apartheid and release of Nelson Mandela in the early 90s, South Africa travelled to India for a cricket tour for the first time in 21 years. In the backdrop of Pulwama terror attack, BCCI had on Friday appealed to the International Cricket Council (ICC) to sever ties with countries from where terrorism emanates, in an obvious reference to Pakistan. Although the letter did not name any country, the reference was clearly to Pakistan from where terror groups have been launching attacks in India. The letter was sent by the CoA on behalf of BCCI. It referred to the February 14 terror strike and said, "Most countries from which the members of the ICC hail (including the UK) have strongly condemned this terrorist attack and expressed solidarity with India. "BCCI urges the cricketing community to sever ties with countries from which terrorism emanates," the letter said. Regarding the World Cup fixture with Pakistan on June 16, the BCCI said the Indian board "fears for the safety and security of players and match officials" participating in the global sporting event. "The BCCI also wishes to express its concerns over the safety and security of fans of Indian cricket at the upcoming ICC Cricket World Cup 2019. The BCCI trusts that the ICC and ECB (England and Wales Cricket Board) will ensure that the most robust security is provided to players, match officials and fans of Indian cricket for the upcoming World Cup," the letter said.The February 14 terrorist attack on CRPF convoy in Pulwama killed 40 personnel.